Dwell by Cheryl: "Open Kitchen Cabinets"
For a while now I’ve been contemplating an open cabinet in my kitchen. Likely from all of the recent blog posts I’ve come across with design bloggers doing just that. 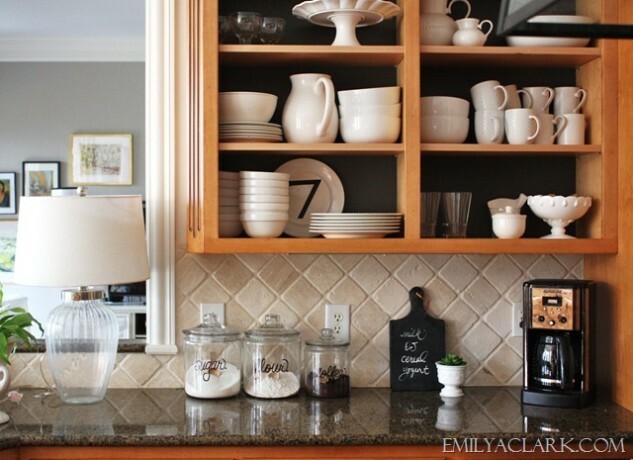 I like the idea of displaying view-worthy pieces in an open cabinet. 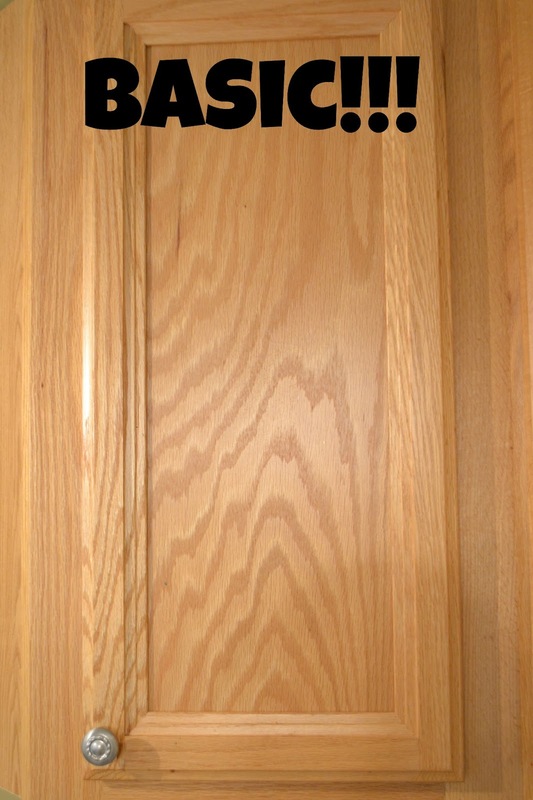 However, I’m not so sure I’m ready to get rid of the entire cabinet door just yet. 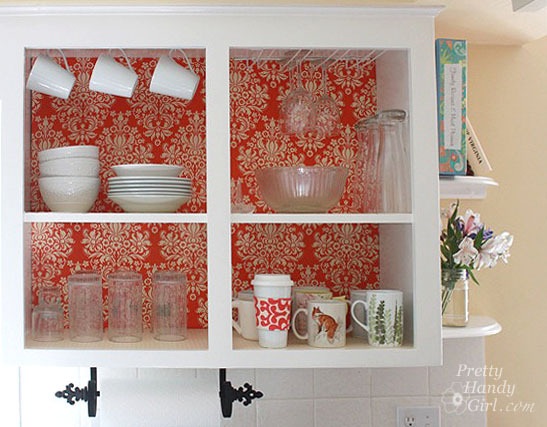 I’m thinking about taking the first step by inserting a glass pane in my existing cabinet. It’s something I’ve been going back and forth on for some time now, and I think I’m ready to bite the bullet. 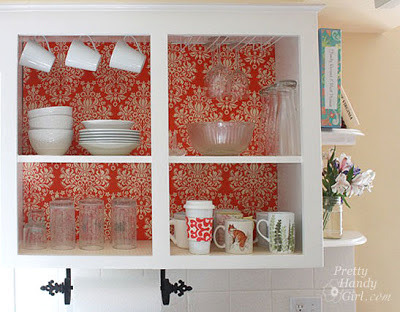 In addition to giving a modern look to my builder grade oak cabinets, it will force me to get rid of some of those awful mugs and cups that seem to collect over time. I guess there’s no going back now. Hey, what can I say, when I make a decision, I commit. I used a fairly bootleg process to remove the center panel. Because I don't have a saw, and the insert is actually wood paneling, I just used a sharp utility knife and a little weight to force out the center portion of the cabinet. It wasn't pretty, but it worked. I just need to figure out what I’m doing to the back wall of the cabinets and then I'll need to get glass. cut. Then comes the fun part, styling it all. Another project in process. Wish me luck! Lol! Yeah, probably shouldn't. I recall that face when you decided to do yours. Priceless. I think it looks better already. 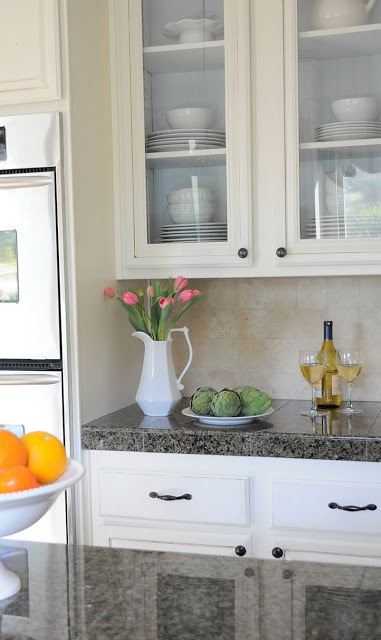 PS> I love the whole house tour of the white kitchen you showed from Country Living - and they're in Lake Wylie! Crystal, I know. This is the 2nd time I've referred to that article from Country Living. What a beautiful home.